Panic disorder refers to the frequent and recurring acute attacks of anxiety. Objective: This study describes the routine use of mobiles phones (MPs) and investigates the appearance of possible emotional alterations or symptoms related to their use in patients with panic disorder (PD). Background: We compared patients with PD and agoraphobia being treated at the Panic and Respiration Laboratory of The Institute of Psychiatry, Federal University of Rio de Janeiro, Brazil, to a control group of healthy volunteers. Methods: An MP-use questionnaire was administered to a consecutive sample of 50 patients and 70 controls. Results: People with PD showed significant increases in anxiety, tachycardia, respiratory alterations, trembling, perspiration, panic, fear and depression related to the lack of an MP compared to the control group. 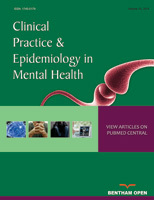 Conclusions: Both groups exhibited dependence on and were comforted by having an MP; however, people with PD and agoraphobia showed significantly more emotional alterations as well as intense physical and psychological symptoms when they were apart from or unable to use an MP compared to healthy volunteers. Keywords: Anxiety, dependence, nomophobia, panic. © King et al. ; Licensee Bentham Open.